Star Wars Battlefront coming on 17 November 2015? 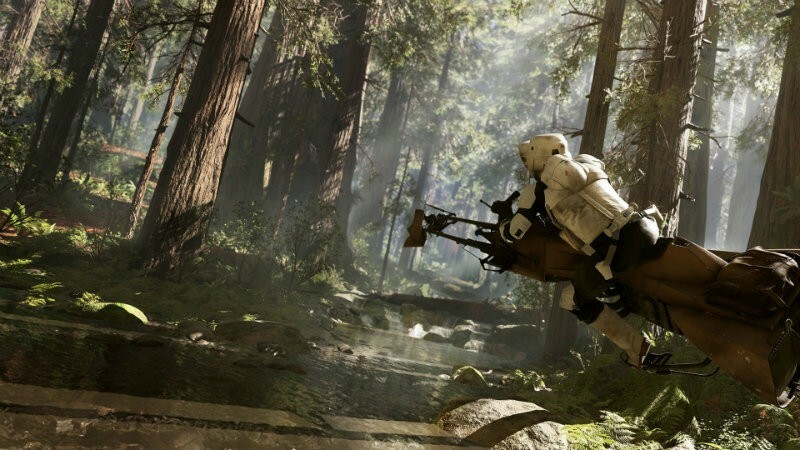 Star Wars Battlefront is getting people mighty excited. I mean, of course it is – it’s a Star Wars game that looks absolutely epic. What more do you want? Oh, you want to know when it’s coming? Apparently in November if data miners are to be believed. The latest news and updates for Star Wars Battlefront. Available November 17, 2015 for PlayStation 4, Xbox One, and PC. November 17th fits in with predictions that it would arrive in time for the holidays, plus it would mean that the game won’t just be seen as a cheap movie tie in. It’s looking gorgeous in the teaser and screenshot, so I think we can start getting excited. Also, prepare for disappointment old generation console users – doesn’t look like this game will be available for you. For those among you who worry that it will just be a new Battlefield, at least you can rest at ease that there will be no Battlelog for Star Wars Battlefront. So it won’t be using the silly social stuff from Battlefield… perhaps it will have its own version of it, though? All games need something social these days it seems. Will Battlefront be your November (and December, and January) game, or are you not going to believe the date until it’s official. And holds steady without delays. Next article Ryan Gosling to star in BLADE RUNNER sequel?